One of the most complex human mysteries involves how and why we became an outlier species in terms of biological success. 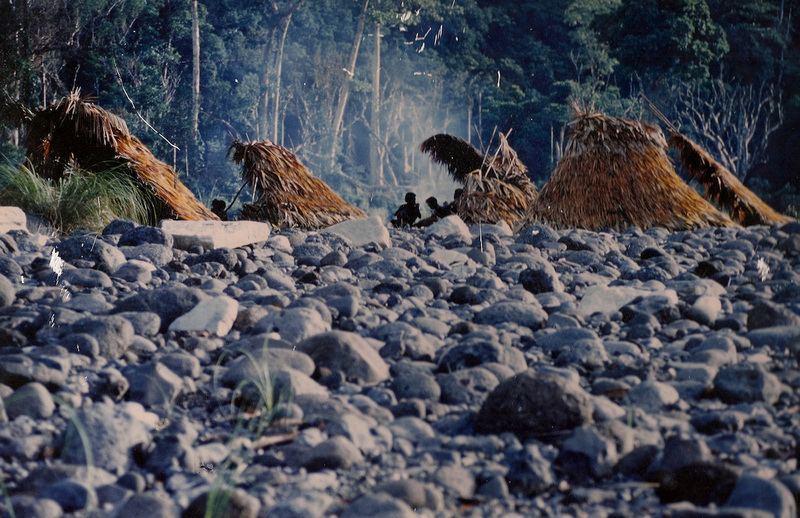 Because humans lived as hunter-gatherers for 95 percent of their species’ history, current foraging societies provide the best window for viewing human social evolution, according to the authors. Given that, the researchers focused on co-residence patterns among more than 5,000 individuals from 32 present-day foraging societies around the globe, including the Gunwinggu, Labrador Inuit, Mbuti, Apache, Aka, Ache, Agta and Vedda. Their findings identify human hunter-gatherer group structure as unique among primates. Professor Kim Hill of ASU’s School of Human Evolution and Social Change in the College of Liberal Arts and Sciences, is the lead author, along with Robert Walker of the University of Missouri. The collaborative effort involved ASU professors James Eder and Ana Magdalena Hurtado; ASU anthropology graduate student Miran Božičević; and anthropologists from SIL International, Dallas; Southern Methodist University, Dallas; Hawassa University, Ethiopia; Washington State University; Durham University, UK; University of Utah; and Stanford University. The group’s findings appear in the paper “Co-Residence Patterns in Hunter-Gatherer Societies Show Unique Human Social Structure.” It is the first published analyses of adult co-residence patterns in hunter-gatherer societies based on census data rather than post-marital residence typologies, Hill noted. Layshia Clarendon scored 22 points and hit four key free throws in the final 32 seconds as California beat Arizona State 48-43. Layshia Clarendon scored 22 points and hit four key free throws in the final 32 seconds as California beat Arizona State 48-43 on Thursday to advance to the semifinals of the Pac-10 tournament. Becca">http://thesundevils.cstv.com/sports/w-baskbl/mtt/tobin_becca00.html">Becca Tobin led the third-seeded Sun Devils (20-10) with 10 points. Arizona State trailed by three when Tenaya">http://thesundevils.cstv.com/sports/w-baskbl/mtt/watson_tenaya00.html">T... Watson rebounded her own miss and was fouled with 47 seconds left. She made both free throws to cut the lead to 44-43. Dymond">http://thesundevils.cstv.com/sports/w-baskbl/mtt/simon_dymond01.html">Dy... Simon then bumped Clarendon near midcourt with 32 seconds to play, and Clarendon hit both foul shots to put California ahead 46-43. After Watson missed a short jumper, Clarendon went back to the foul line where she sealed the win. Watson had eight points for Arizona State while Simon, the team's leading scorer at 13.7 points per game, was held to six points on 1-of-10 shooting. The Sun Devils had won three straight and will now hope their 20 wins are enough for an at-large bid to the NCAA tournament. Cal, which led 27-23 at halftime, went up by eight early in the second half. The lead dissipated to 38-37 with 9:19 to go on Janae">http://thesundevils.cstv.com/sports/w-baskbl/mtt/fulcher_janae00.html">J... Fulcher's layup, but the Sun Devils didn't score another basket for the next 5:10. The Bears followed with a 6-0 run, including a pair of jumpers from Clarendon, the last of which made it 44-37 with 4:28 left. Deja">http://thesundevils.cstv.com/sports/w-baskbl/mtt/mann_deja00.html">Deja Mann broke the Sun Devils' drought with a layup, and Tobin added a jumper to cut it to 44-41 with 1:44 remaining. The Bears will be making their fifth straight appearance in the semifinals.